KARL HEINRICH PAHLMANN, JR., 60, of Huntington, W.Va., passed away on Wednesday, February 6, 2019 at Cabell Huntington Hospital. He was born October 1, 1958, in Broome County, New York, a son of the late Karl and Martha Palhmann. 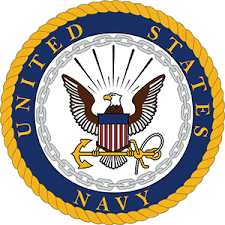 Karl honorably served in the U.S. Navy. Survivors include three brothers, Randy Pahlmann of Lisle, N.Y., Glenn Pahlmann of Triangle, N.Y., Wolfgang Pahlmann of Tully, N.Y.; one sister, Ann Fuller of Tampa, NY; and a host of nieces and nephews. Graveside services will be held 10 a.m. Tuesday, February 12, 2019, at the Donel C. Kinard Memorial State Veteran Cemetery. Arrangements entrusted to Johnson Tiller Funeral Home.